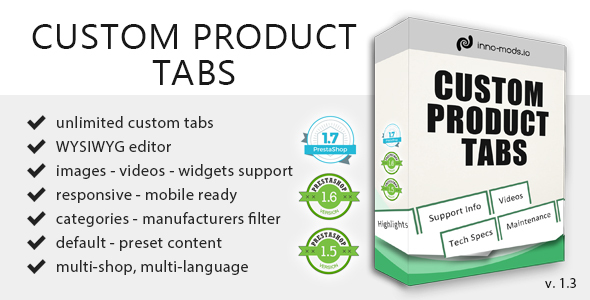 Custom Product Tabs is a premium, multi-shop and multi-language Prestashop plugin than allows you to add unlimited additional tabs to your products. So, get started, create as many tabs as you want and manage them through the easy to use drag-and-drop admin panel of the module. 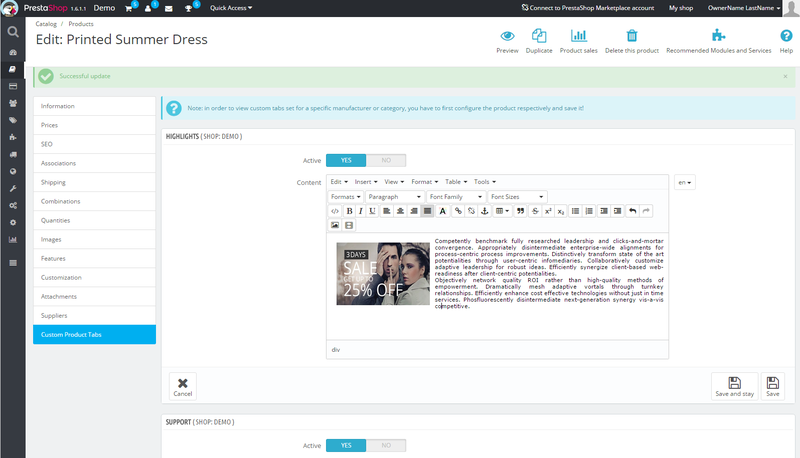 You can add all types of content text-images-videos-script in each of your tabs, and make the best out of your products. 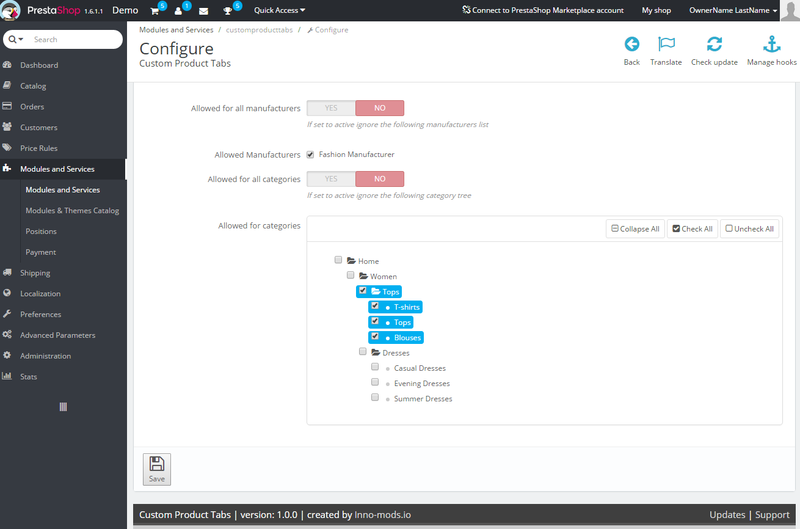 You can also configure each tab as global or display it only for specific manufacturers or categories ( 1.6.x & 1.7.x ). Moreover, you can activate – deactivate each tab globally, or for a specific product! And what about a preset value? 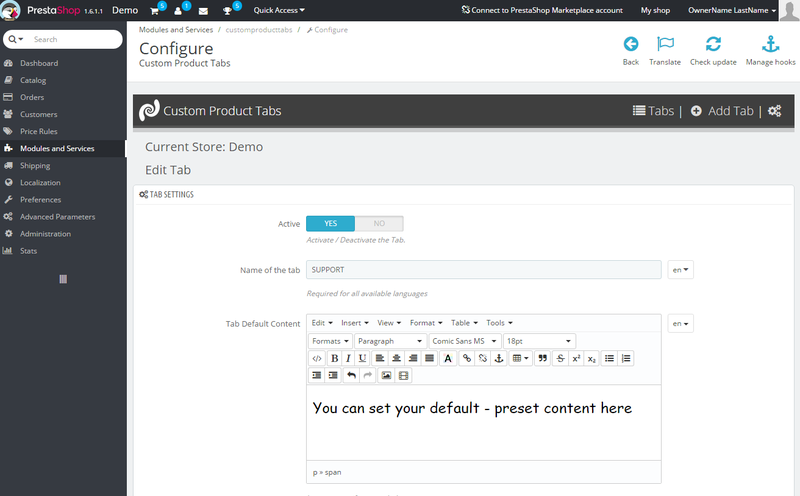 Custom Product Tabs is already there and allows you to set a default – preset value, in order to avoid re-typing. 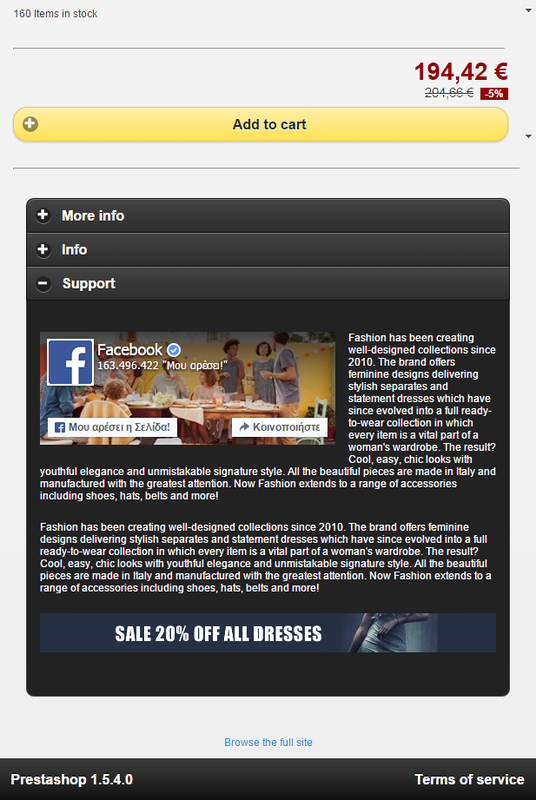 Last but not least, Custom Product Tabs front-end display adjusts to your Prestashop version! You get the default classic tabs for the Prestashop 1.5 version, both for laptops and mobile screens. 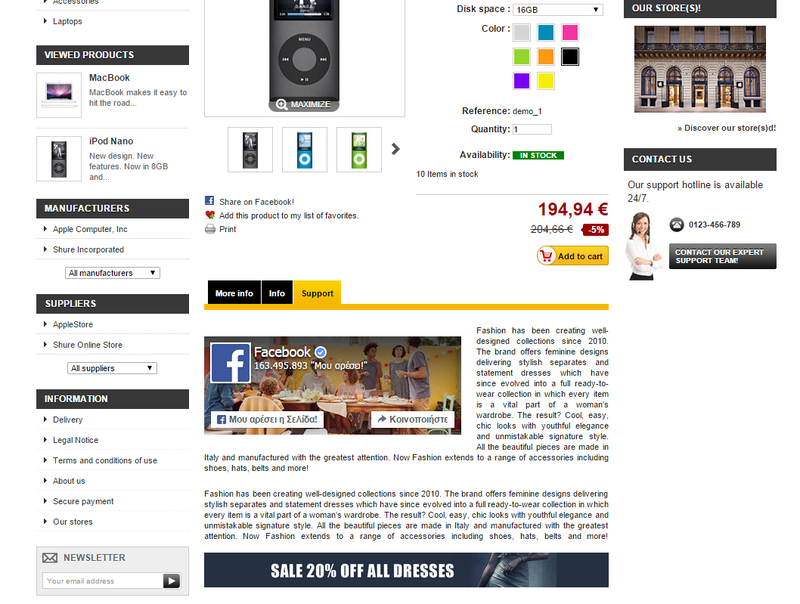 Next, if you are using the Prestashop 1.6 version, you get the responsive default block layout! 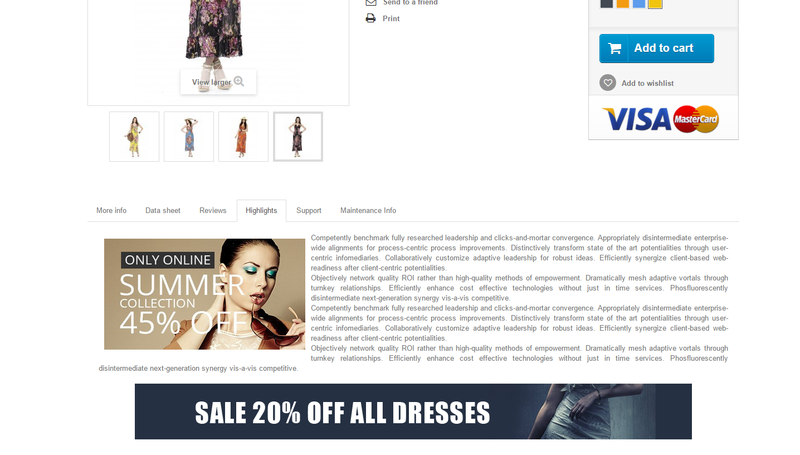 But what if you really liked the real tabs of Prestashop 1.5? 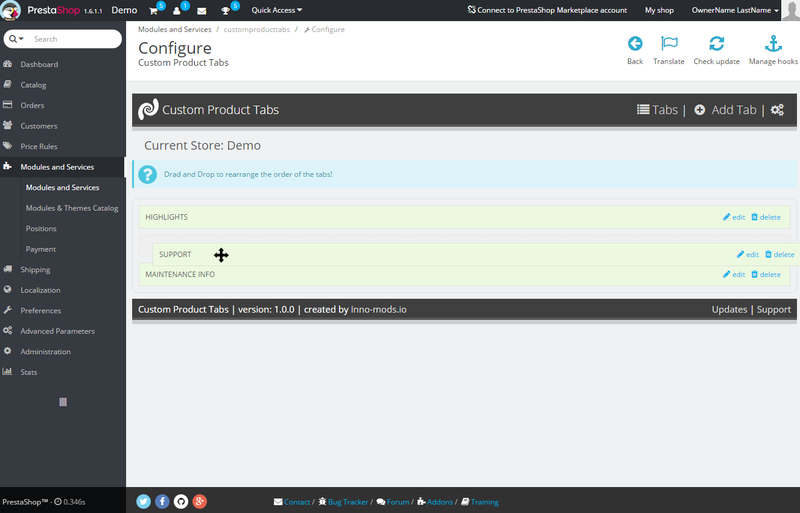 Well, Custom Product Tabs lets you keep them in 1.6 version. 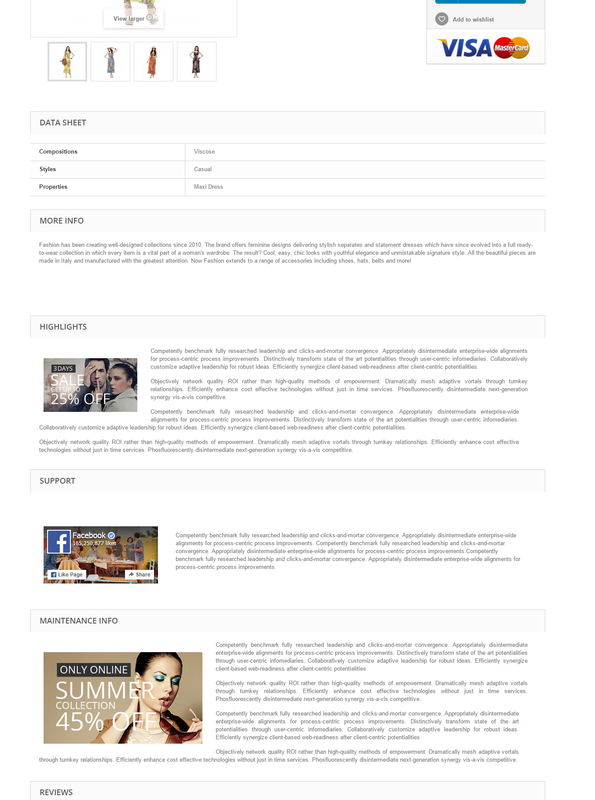 Just, choose the respective option in the configuration page and follow the guidelines given for the necessary template editting! Last, but definitely not least, if you are up to date and you are using the Prestashop 1.7 version, you get the responsive tabs Prestashop 1.7 has!